In addition to the rigors of being a full-time student, managing a non-profit and serving as VP of two busy organizations, Righteous is an active member of the Future Business Leader of America and interns with a host of other non-profits to gain the experience needed to be a successful social entrepreneur. In 2017, Righteous was selected as one of only 100 dreamers out of 15,000 applicants to attend the Steve Harvey and Disney Dreamers Academy. The Disney Dreamers Academy is an immersive program designed to expose student leaders to various career paths, while they network with community and civic leaders from around the country. In his downtime, Righteous enjoys playing piano, reading comic books, and playing video games. Upon graduation, Righteous plans to attend and graduate from 4-year university and return to Charlotte to use his gained knowledge, experience and connections to impact the city on a large scale. 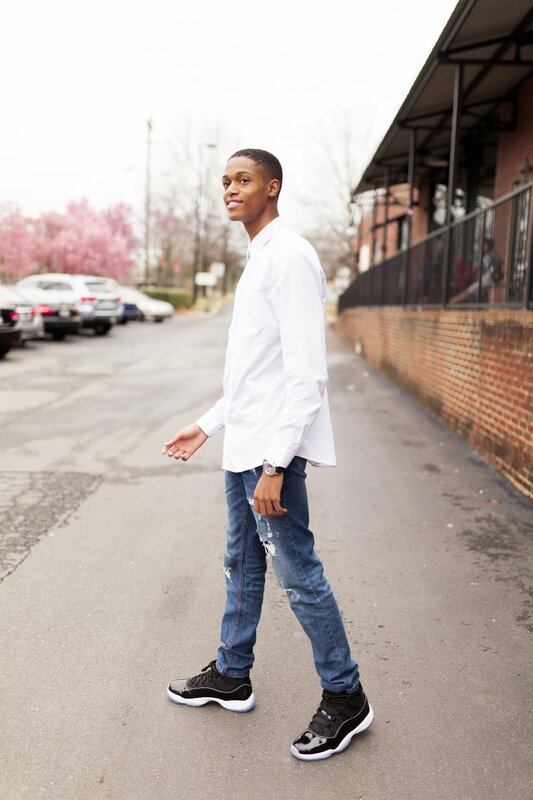 Righteous Keitt, is a compassionate Junior at Phillip O. Berry Academy of Technology. While serving as Vice Presidents for both the Charlotte Youth Council and the Phillip O. Berry Academy of Technology Student Council, Righteous Keitt maintains a 4.1 GPA and finds time to also run his own nonprofit corporation. As Chief Executive Officer and founder of Bags 4 Bagless, Righteous has collected and distributed toiletries, snacks, blankets and other items we take for granted to hundreds of homeless men, women and children in the Charlotte metro area. As an aspiring community leader and social entrepreneur, Righteous developed his passion for helping the less fortunate and community leadership as a middle school student and hopes to lead other area youth to serve their community.